Home/FTP (file transfer protocol)/Help! My Firewall is Blocking My FTP Connection. Though WordPress is my tool of choice for building web sites, I still mange a few HTML sites for clients. The work is infrequent and poses very few problems. So, I was surprised today when my FTP (file transfer protocol) connection to a clients server failed repeatedly. After several hours, I finally resolved the issue that included a help call to the web host and a colleague. First, I should describe my working environment. Thus, if you are having a similar problem you can be assured you are comparing apples to apples. I use a MAC Pro running 10.9.4 OS or Mavericks. I’ve been using Mavericks for a month with no specific problems. Next, I use Adobe Dreamweaver CS6 (that’s right CS6, I refuse to upgrade to Adobe Creative Cloud, why lease when I can own). Dreamweaver CS6 is still an excellent tool to build HTML sites and it has a built-in site manager for file transfers, that is, transferring local files to the server. 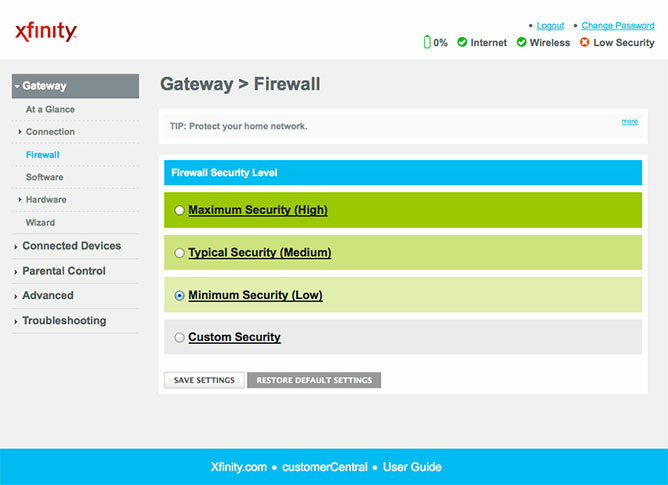 Lastly, Constant Guard by Xfinity from Norton provides internet security for my Mac and network. The order in which you perform these tests will be dictated by your specific set up or when you started having problems. I’ll explain. As I mentioned before, my work on these HTML sites is infrequent. Yet, I’ve never had a problem connecting to the server using Dreamweaver CS6 managed sites until I noticed it today. Thus, I called the web host technical support line. Together, we tested the FTP connection. He was able to connect, but I still could not. He suggested I peruse my Firewall settings. So, I temporarily disabled my Norton Firewall to no avail. I configured the settings allowing for Dreamweaver, still a no go. Thinking Dreamweaver CS6 might be the problem, I opened Dreamweaver CS5.5 and tried to connect, no change. Just in case Dreamweaver itself was the problem, I downloaded the Cyberduck FTP file from the web host. It timed out with no connection. As Mavericks was one of the updates I had performed in the last month, I searched online and found a link that lead me to the firewall provided by Mavericks. 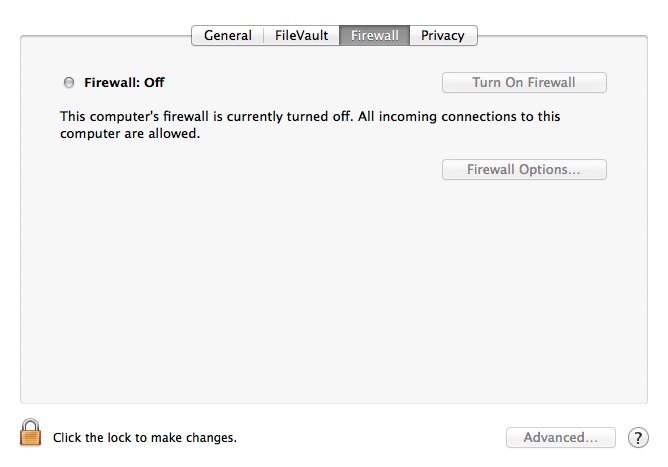 I opened, System Preferences >> Security & Privacy (Firewall: Off). This couldn’t be the problem because it was turned off, but I tried configuring it to see if that would help connect to the server. It didn’t. Frustrated, I called a colleague who is a Mac expert. I explained the problem. She was able to connect to the server using both Cyberduck and Transmit, which confirmed the problem was on my end. Back to the drawing board, I made a note of all the recent updates and changes to my system since the last time I successfully accessed the server via FTP. Then, I began a search in Google using the phrase Dreamweaver CS6 ftp connection issues. This search provided a link to an Adobe help document that lead me to the solution. As I read the title in the Adobe help document, “Verify that a router is not preventing the connection” I was still skeptical. However, it was the opening sentence that changed my mind about the router being the problem: “Routers can have built-in hardware firewall or proxy servers.” A light bulb went off. I remembered blowing past the Gateway Firewall and leaving the default settings. Realizing that I had recently added the new Comcast Gateway Router modem, I conducted another search in the Comcast Forum that lead me to instructions suggesting that I change the router settings to low rather than the factory default settings. After saving the Gateway Firewall settings to low, I went back to Dreamweaver and tested the connection and Voilà! Success! Now that the Dreamweaver managed sites connection was working again, I went back to Norton Firewall and configured my preferred Firewall settings. Then, back to Dreamweaver to test connection. Once again, I successfully connected to the server files using FTP. To be safe, I conducted a search using the following phrase “do you need more than one firewall installed.” The links provided concluded that one firewall was better than two because multiple firewalls could make you more vulnerable or multiple firewalls can conflict causing problems. Though using multiple firewalls may depend on what you want to protect, here, I’ll bow to the firewall experts. At least one firewall is necessary. I feel connected and protected and that what matters to me. Obviously, if the only thing you changed or added recently is a router like the Comcast Gateway Router/Modem, start there.